Organizations invest heavily in management selection and training programs, in an effort to recruit and further develop leaders with traditional, “bright” character traits — those who are dominant, outgoing, achievement oriented and cooperative. But a new study from the University of Notre Dame suggests companies are missing the boat if they don’t delve a little deeper to evaluate how the leaders they seek and train might complement existing teams. In some cases, stereotypical or traditional leadership traits may not be the best fit. 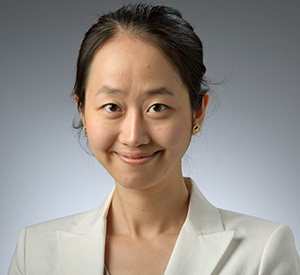 In a paper forthcoming in the Journal of Applied Psychology, Jasmine Hu, assistant professor and Donnelly Fellow in Participatory Management in the University of Notre Dame’s Mendoza College of Business, along with her colleague Timothy Judge, argue that “bright” leadership traits don’t always contribute positively to team performance and that leaders need to be selected to fit the values of their teams. Hu says the research findings are counterintuitive for many recruiters and trainers focused on traditional leadership skills, which can prove counterproductive. “I think most organizations tend to heavily emphasize certain leader characteristics, largely ignoring contextual factors that can drive the success and failures of those same leaders,” Hu says. “What we found is that when highly extroverted leaders work with teams whose members expect dominant leaders, the group is effective. However, when extroverted leaders work with teams whose members crave power sharing and expect involvement in decision making, they are less effective in leading successful teams. Think embattled Yahoo CEO Marissa Mayer. Hu’s research offers meaningful suggestions for practice — for both managers and companies. The paper, “Leader-Team Complementarity: Exploring the Interactive Effects of Leader Personality Traits and Team Power Distance Values on Team Processes and Performance,” is available here. Originally published by Shannon Roddel at news.nd.edu on March 03, 2017.